This sweet pastel-colored designer collar is made in velvet and is 5/8" wide. 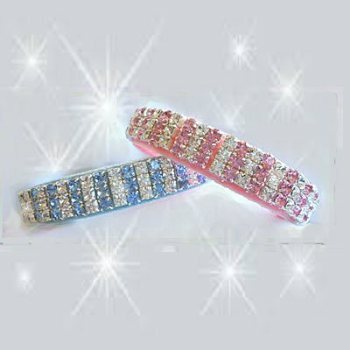 You have a choice of baby pink/clear or baby blue/clear crystals. What a sparkler! How cute would your boy or girl puppy look in The Pastel Sparkler Dog Collar?